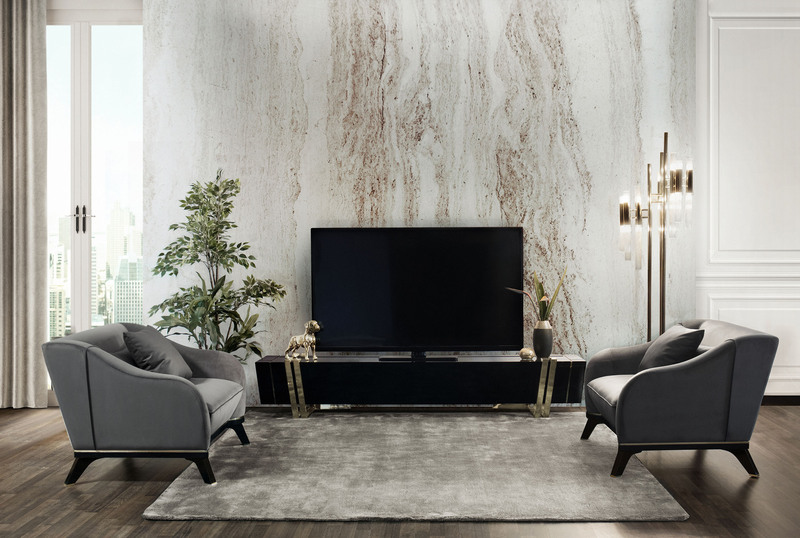 The reference when it comes to luxury lighting and furniture design, Luxxu’s world is all about exclusivity and dedication, gathering the classic, and modern design expressed in high-quality materials. A design not only to be enjoyed but also to live for! 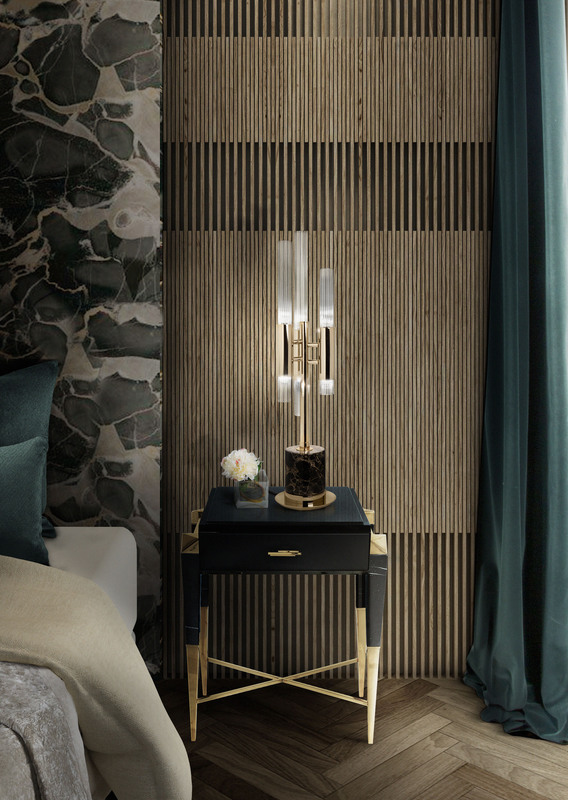 Entering a new season, Luxxu sees where modern lamps and home joined forces to create the best and most luxurious interiors. Let lighting add a touch of luxury while simultaneously setting the mood, and the furniture completes the ambience with a cozy and timeless style. Here are some suggestions inspired by the cold season. Neutrals are not only black and white anymore. Beige and earthy tones are more than ever becoming neutrals. Paired with gold, another huge winter trend, any interior is enhanced by the unique opulence of luxury, offset by the cozy vibes earthy tones provide. The Spear Side Table and the Waterfall Table Lamp are like a match made in heaven. There’s no decade like the 1920’s, so unique and distinctive, in both fashion and furniture design. 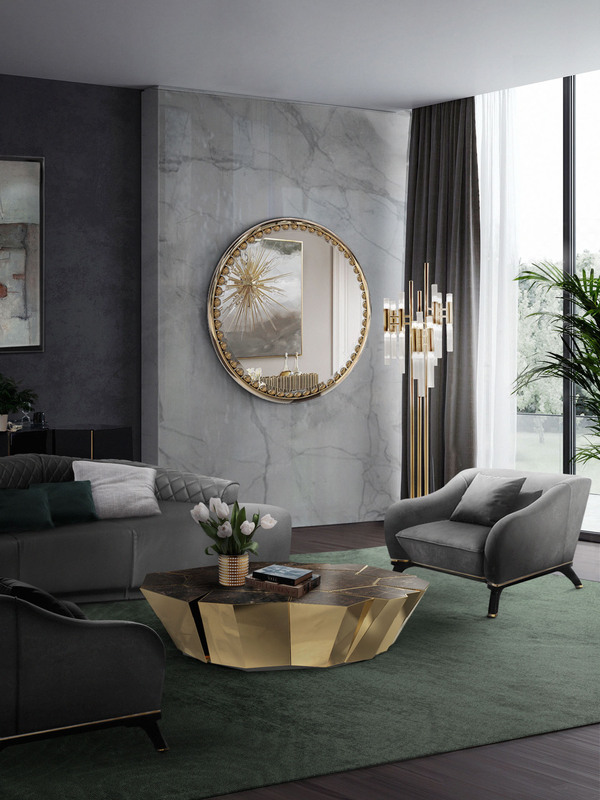 This living room epitomises that decade in a revival; the lighting and tables from the Empire Collection, are inspired by one of the most iconic Art-Deco buildings in the world and the upholstery items are a modern interpretation of the lines that carved Art-Deco. Nothing enhances the feel of a home more than candles. By providing a dim light effect, create a relaxing atmosphere during the colder months. 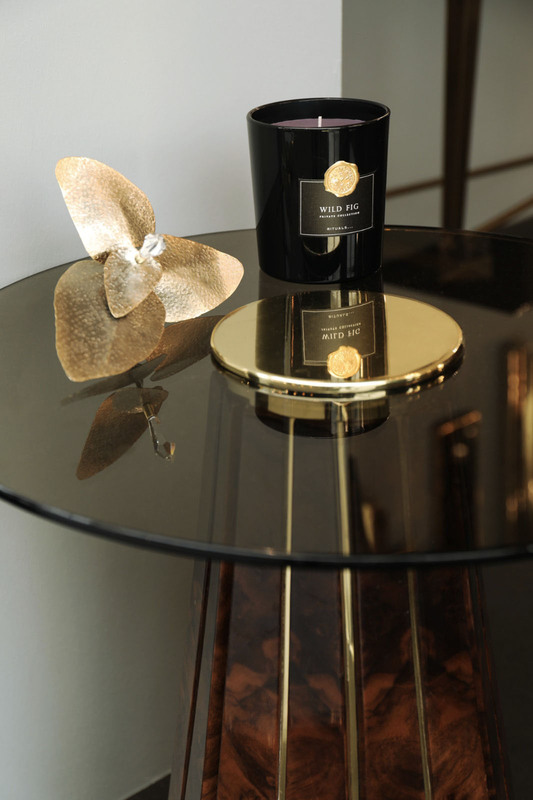 Scented candles also aid in setting the mood, like this Wild Fig mood enhancer from the luxury collection of Rituals. When decorating a space, colour should always be considered. Be it in a form of a statement piece or just a pop of color. A green rug in a monochrome living room will bring this living space to life and contrast with the golden from the Crackle Center Table, creating a luxury setting. Luxury and comfort should always be associated. After all, how luxurious is something if it’s not comfortable? The Saboteur Armchairs are the perfect example of how comfort and luxury can come together and create the most exclusive, yet cozy, of interiors.